We’re now fully ensconced in London Fashion Week (I say “we”, my invites are suspiciously absent…), which gives us an opportunity to reflect on last week’s shows in NYC. Trends such as sportswear chic, old Hollywood glamour and florals (it’s S/S, of course there are going to be florals) were apparent, however it was the range of colours that appealed to me the most. It’s definitely going to be a colourful season, with citrus and pastel shades cropping up in collections time and time again. Yellow is my absolute favourite colour, so the sunshine hues made me extremely happy knowing that they’re going to be reflected on the high street next year. 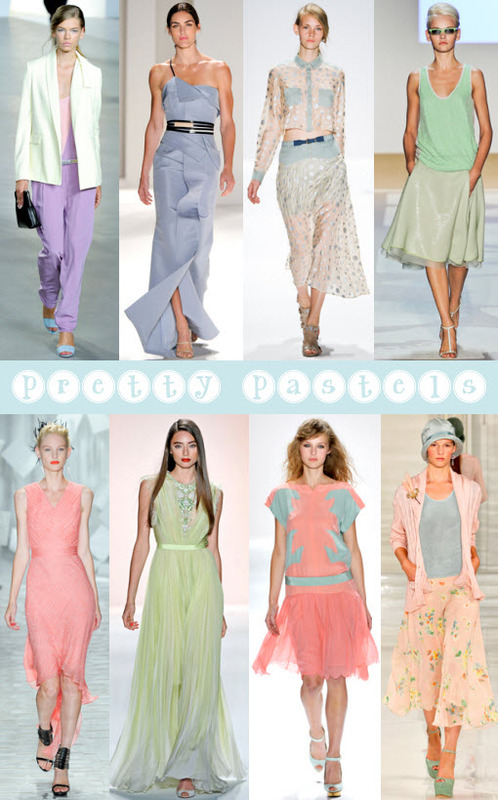 The delicate pastels created a subtle contrast (how stunning is that drop-waisted Jill Stuart dress?) 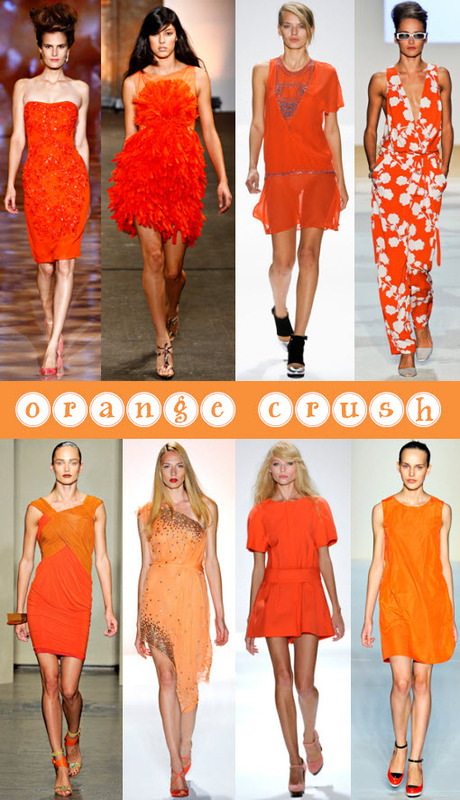 and, yep, orange is back. Now orange and I never really got that friendly this summer – perhaps as a result of growing up with those ubiquitous ‘You’ve been Tango’d’ adverts – but maybe I’ll give it another chance. I’ll start with an orange bangle and go from there. What are your thoughts on these S/S12 trends? Do love all these colours! 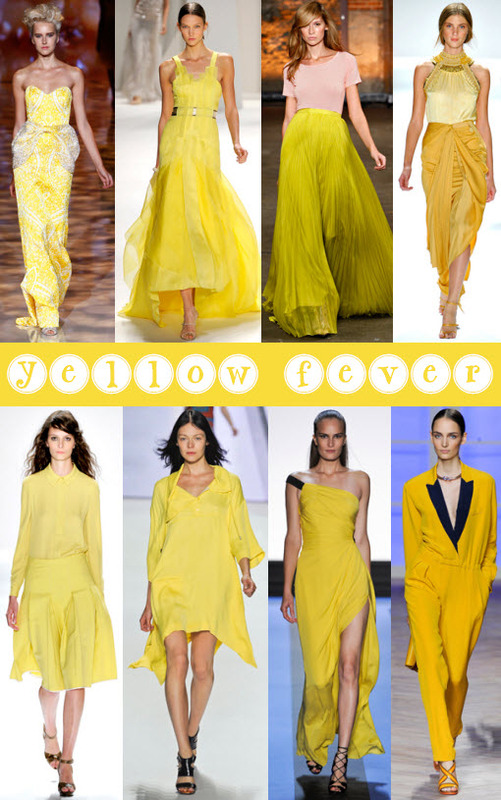 All of these dresses are to die for – I love that huge, yellow skirt!